Apex is pleased to announce facility to transfer the following Syquest disks/cartridges to CD/DVD/hard drives. SyQuest SyJet up to 1.5GB SQ1500 Disk Cartridge, SyQuest Sparq up to 1.0GB Disk Cartridge. Also we can read SyQuest EzFlyer EZ135 135MB ,up to EZ230 230MB Disc, Syquest 270MB SQ3270 3.5 inch Removable Disc, Syquest 105MB SQ3105 3.5 inch Removable Cartridge, SyQuest 200MB SQ2000 5.25 inch Disk, SyQuest 88MB SQ800CartridgesSyQuest 44MB, SQ400 5.25 inch Disk Cartridges. If you need a Syquest file transfer and data recovery service, then contact our friendly company. Apex is pleased to announce facility to transfer the following Syquest disks/cartridges to CD/DVD/hard drives. SyQuest SyJet up to 1.5GB SQ1500 Disk Cartridge, SyQuest Sparq up to 1.0GB Disk Cartridge. 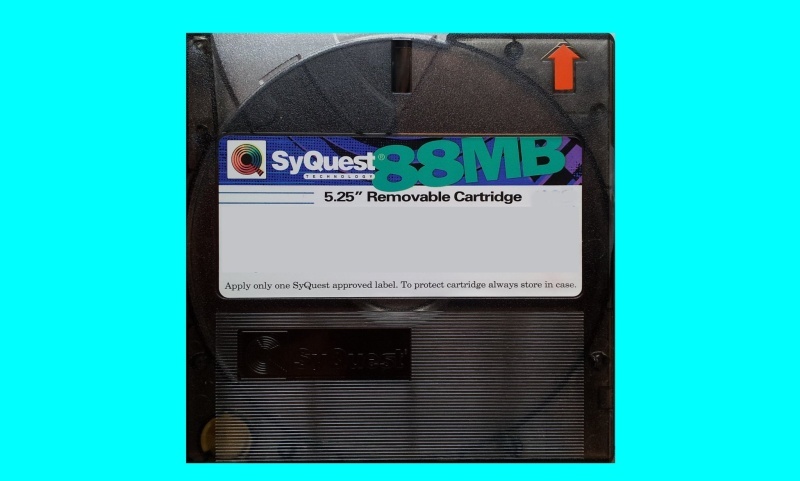 Also we can read SyQuest EzFlyer EZ135 135MB ,up to EZ230 230MB Disc, Syquest 270MB SQ3270 3.5 inch Removable Disc, Syquest 105MB SQ3105 3.5 inch Removable Cartridge, SyQuest 200MB SQ2000 5.25 inch Disk, SyQuest 88MB SQ800CartridgesSyQuest 44MB, SQ400 5.25 inch Disk Cartridges..